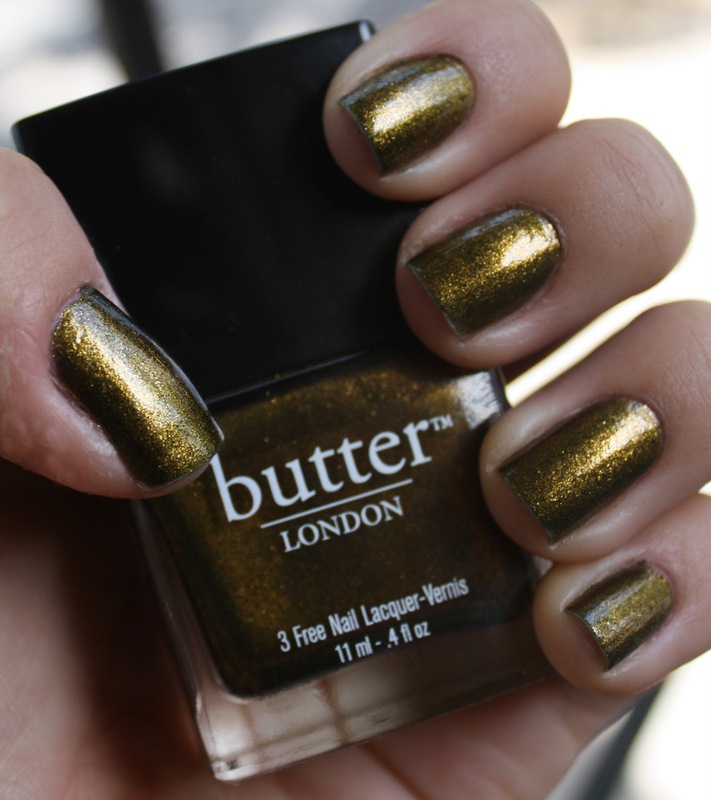 I've been wanting to get Butter London's Wallis for a while now but I don't often see Butter polish very often when I'm out shopping. But when I went to Ulta last week, I finally spotted it! So I purchased it, of course! I don't ask for much more than a great color when it comes to lacquers, so this polish was everything I hoped it would be. When looking at this color online, I always thought of it as an olive green. But now that it's on my nails, it almost seems like a dark, muted gold. What do you think? Does it look more olive or gold?